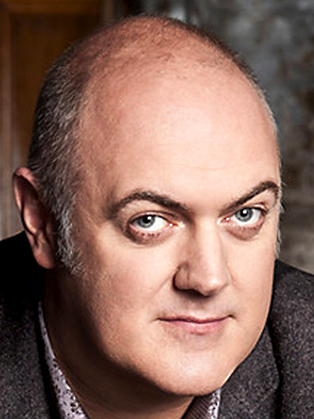 Dara O'Briain is a stand-up comedian and television presenter, popularly known in the UK for Hosting BBC 2's Mock the Week and in Ireland for hosting RTE 2's the Panel. He is one the few performers to host successful comedy shows in both the UK and his native Ireland at the same time. He started his career in television as a children's presenter on RTÉ whilst performing his first stand-up gigs on the Irish comedy circuit. After studying at University College, Dublin, where he did a degree in Mathematical Physics. He spent three years as a presenter on the bilingual Irish and English children's programme Echo Island but came to prominence as a team captain on the topical panel show Don't Feed The Gondolas. He left the show midway through its fifth season in order to perform at the Adelaide and Melbourne comedy festivals. Dara later co-founded the television production company Happy Endings Productions, whose most famous show in Ireland was The Panel. The show has become one of the most talked about shows in Ireland and was twice nominated for the Best Entertainment show IFTA (Irish Film and Television Award). His big break in UK television came in 2003 when he became host of BBC2's Live Floor Show. This led to an appearance as a guest and ultimately, four appearances as guest host of the popular news quiz, Have I Got News For You. He has just finished hosting the eleventh series of the comedy panel game Mock the Week on BBC television, and other notable television work includes two documentaries re-creating the legendary British comedy novel "Three Men in a Boat", where he rowed down the Thames with Griff Rhys Jones and Rory McGrath, also for the BBC and the comedy interview programme "Turn Back Time". In 2006, he conducted his third and largest national tour of the United Kingdom and Ireland. This included 66 shows across the UK as well as 9 nights sold out in Dublin. His second night in The Theatre Royal, Drury Lane in London was recorded for his first live DVD, released on November 13 2006. In 2009 he published a book entitled Tickling the English and is about what he perceives it means to be English. From 3 to 5 January 2011, O'Briain and Professor Brian Cox presented Stargazing Live on BBC Two, three programmes based at the Jodrell Bank Observatory, scheduled to coincide with the conjunction of Jupiter and Uranus, a partial solar eclipse, and the Quadrantid meteor shower. The two presenters hosted a second series of three hour-long programmes, plus follow-up 30 minute shows called Stargazing Live: Back to Earth, from 16 to 18 January 2012, also on BBC Two. In 2013 they presented the third series, again accompanied by Back to Earth, from 8 to 10 January.